1) Only one variety of Orchid produces an edible product, do you know what that is? Hint: it is the second most expensive spice in the world. 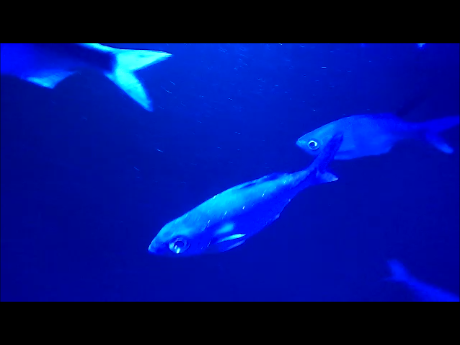 2) What does this fish have in common with a Manta Ray? 3) What small island has 11 of the worlds 13 climatic regions? Where was I travelling? Hawaii, the Big Island. The answer to the first question is vanilla. 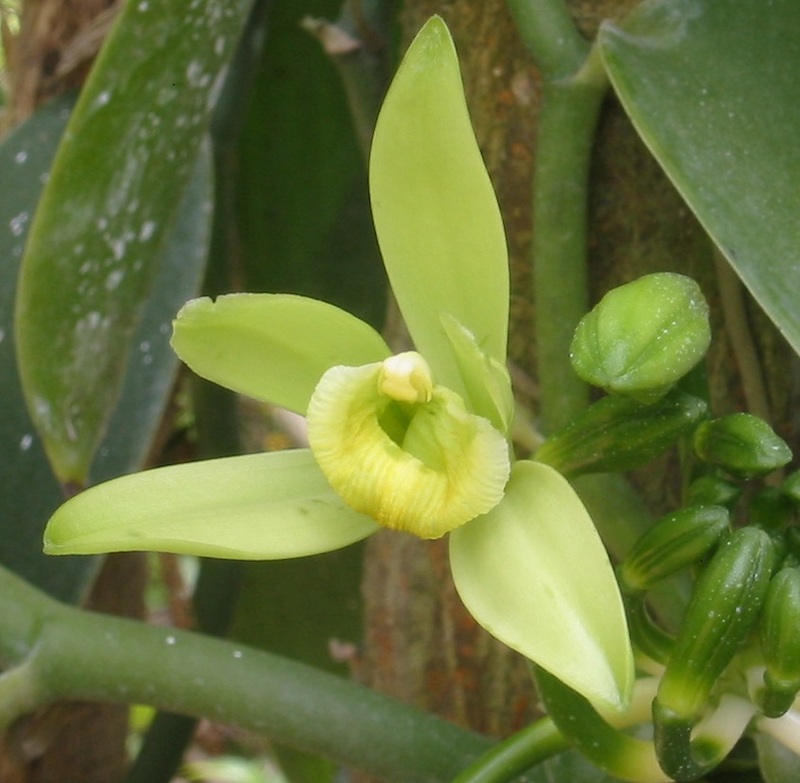 Hawaii is one of only a handful of places in the world where the Vanilla planifolia plant is grown. This orchid only grows between 20 degrees north latitude and 20 degrees south and can be found in southern Mexico, Tahiti, Madagascar, Micronesia and Hawaii. While in Hawaii I visited the Hawaiian Vanilla Company. Each flower has the potential to produce a vanilla bean, but because each flower only blooms for about 4 hours, the orchids are hand pollinated. We had a vanilla themed lunch and then went for a tour. First we had a shrimp sautéed in Garam Masala and flamed with Vanilla. he hands off to his younger brother for the flambe (sorry my picture missed the flames which were quite impressive) apparently because he had lost his eyebrows on a previous occasion. Main course was grilled chicken served on a rich vanilla scented bun (they make them in house) and served with chutney, aioli, seasoned potatoes and salad. Dessert was a very fine Vanilla Icecream. A delicious meal and fascinating tour. I brought home vanilla beans and made my own vanilla, it will be ready next fall, just in time for Christmas baking. Did you know that vanilla needs an activator to produce the characteristic flavour; the three activators are alcohol, cream and citrus juice. So I followed the instructions using vodka, and my vanilla is resting in a cool dark place. Oops, sorry, I seem to have got a bit carried away on vanilla. More on questions 2 and 3 next week.